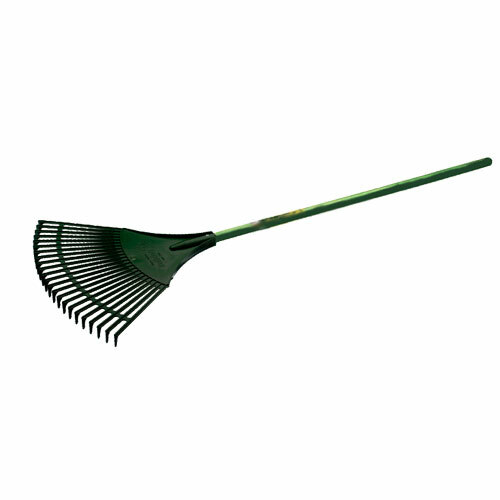 Gardeners Mate Large Plastic Leaf Rake provides a lightweight rake suitable for movement and removal of leaves and surface debris from a lawn surface. Designed with plastic tines to reduce the damage raking can cause grass shoots, which is often a flaw when using metal tine rakes. Handle is constructed from powder coated steel and benefits from a nonslip handle. Easily stored away using a large hanging hole for easy storage.